The image splitting option is only a shortcut allowing you to separate data from different hard drives. You also can setup several backups at once while controlling every option. These images will be completely independent and created after each other. 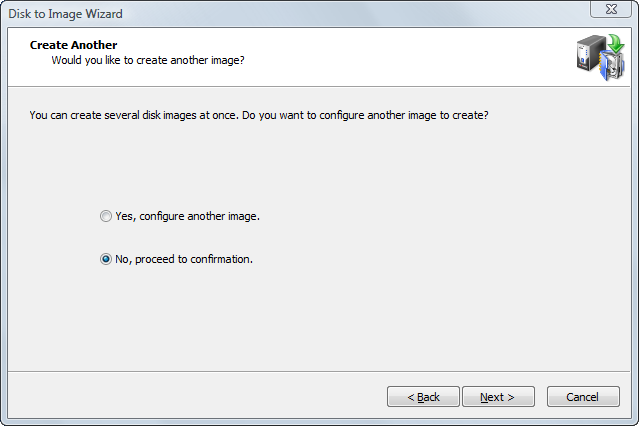 If you want only one image to be created, click the Next button; otherwise select "Yes, configure another image" and click Next. You will be forwarded to the partitions selection page and will be able to set options for a second backup.